Many people around the world know the issues of excess weight too well. And ladies take it more seriously than men. They are capable of exhausting themselves with exercises and completely revising eating habits, refusing sweets – which are not only tasty, but also can elevate the mood. At the same time, we often forget that sweets, cakes, and pastries have an excellent substitute - dried fruit. Dried apricots, raisins, figs, dates, prunes, apples, and pears can be bought almost everywhere. 1. How do berries become dried fruit? Dried fruit result from natural drying of fresh fruit in the sun, in the shade or in special drying cabinets. As a rule, fully ripe berries and fruit are chosen for this purpose, when they contain their maximum amount of vitamins and minerals. Thus, even after processing dried fruit retain most of their beneficial properties. However, the method of drying is crucial. Berries and fruits dried in the open sun lose some of their nutrients, so they are somewhat inferior to those dried in the shade or in the drying cabinets. 2. When and in what quantity are they recommended to consume? Despite the fact that the dried fruit contain much less water, they are the same fruit. No fructose is lost during the treatment, which means that their caloric content is still high enough. The daily intake is 75-150 g, and dried fruit are not recommended to consume after 5 pm. In the evening, there is not enough time for carbohydrates from these products to be converted into energy and consumed, as the organism is already getting ready for bed, and all processes, including metabolism, are slowing down. 3. 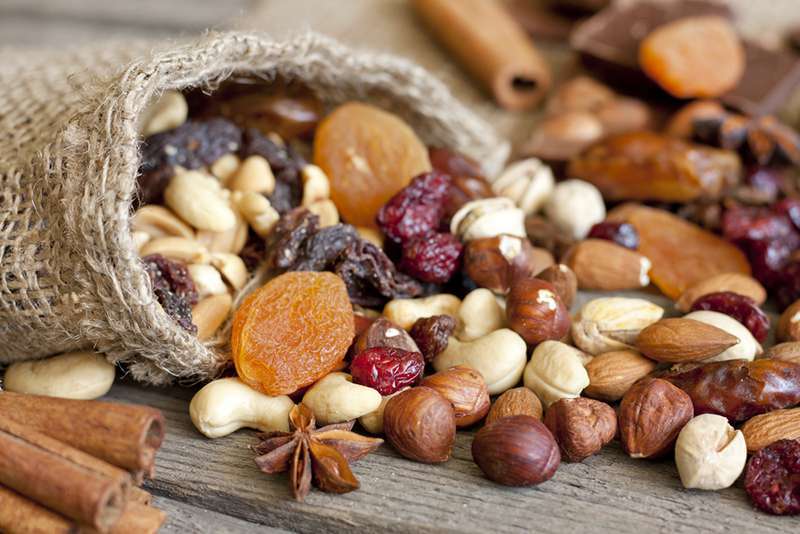 How to choose quality dried fruit? Appetizing appearance is a good quality indicator of dried fruit. They can substitute for fresh analogs in the cold season when there is less variety of fruit and berries, and they are quite pricey. However, it is important to remember that some manufacturers often resort to using various additives to improve the looks of their products and to delay their end date - sucrose, sulfur dioxide, and glucose syrup. To avoid these, it is recommended to consume seasonal fruit and berries, or dry them on your own, or read the information on the label carefully when buying. 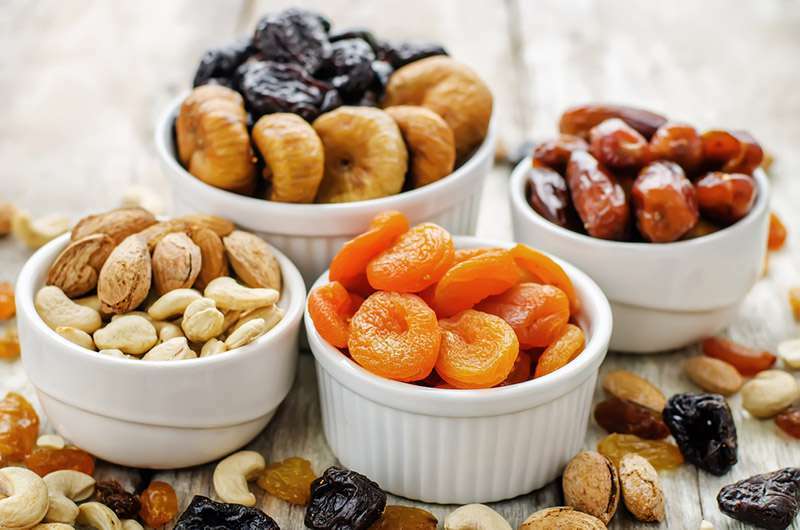 Dried fruit are natural substitutes for sugar, so they can be added to cereal, cottage cheese, yogurt, granola, as well as pastry made of whole-grain flour. This is also an excellent snack which will give you strength and energy during the day. 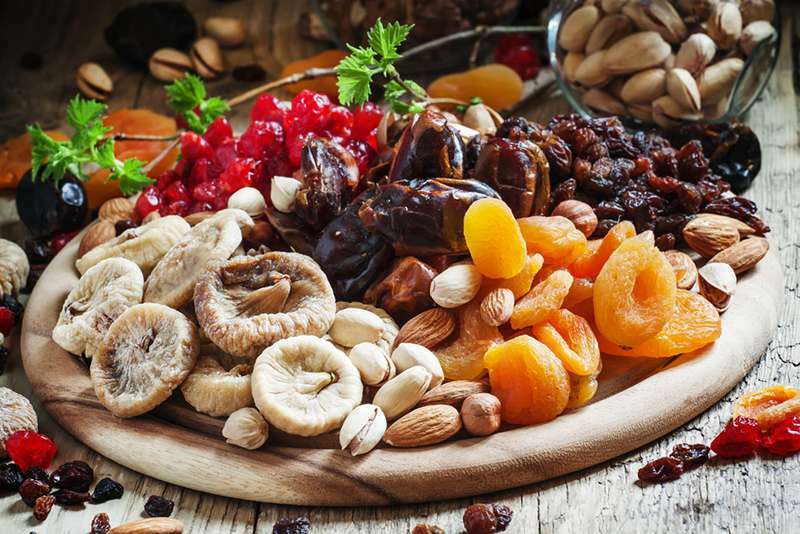 But the most important thing is that if moderately and reasonably consumed, in the long run, dried fruit will not gain you extra pounds, but will help you lose a few.